If your child has been arrested or charged with juvenile delinquency, you may want to speak with a criminal defense attorney before these charges ruin your child’s life. The last thing you would want is for these charges to follow your child into adulthood. Some charges filed against minors are ridiculous, and some arrests made against children can be unfair with devastating consequences. Earlier this month, a Piedra Vista High School student was arrested after leaving a handwritten message (graffiti) in a boys’ bathroom at the school. The graffiti allegedly contained threats about a school shooting. The existence of the graffiti, which read, “A shooting will happen tomorrow,” was immediately reported to the Farmington Police Department, which dispatched its officers within minutes. After reviewing security footage, the officers were able to identify a 16-year-old student as a suspect. The student in question was immediately arrested at the school. However, after interviewing the suspect, the police failed to find any evidence that the student actually was planning to carry out a school shooting. Despite this, the police charged the 16-year-old with four counts of criminal damage to property and one count of disrupting the educational process. 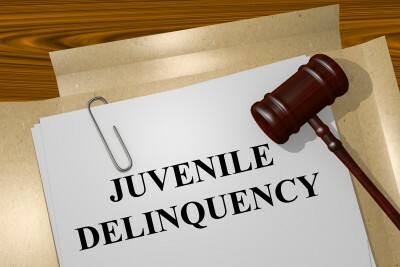 Although these charges aren’t considered serious, our juvenile delinquency attorneys at Jardine Law Offices P.C. wonder: are they fair? Charging a child with far-fetched or unfair counts is not unheard of in Farmington or elsewhere in San Juan County. Punishing children for skipping school, doing drugs, smoking cigarettes or breaking curfew, or for committing more severe delinquent acts, what’s the harm of it? This seems to be the rationale of police officers in New Mexico. But what the Farmington Police – and, sadly, many parents of children accused of delinquency – don’t realize is that these charges may leave long-lasting effects on the child’s life, leave him/her traumatized and result in a plethora of other issues that may follow him/her well into adulthood. In order to prevent it from happening, it’s highly advised to speak to a Farmington juvenile delinquency attorney in order to find the most optimal legal option in your particular case and fend off those ridiculous and unfair charges. Chances are, you don’t have a deep understanding of how the juvenile justice system works and how its judges and juries think when it comes to handling juvenile delinquency cases. In order to prevent juvenile delinquency charges from ruining your child’s life, it’s imperative that you hire the best juvenile delinquency attorney in Farmington to handle your case. Attempt to get a diversion, civil compromise, or a Formal Accountability Agreement (FAA). Your child’s fate is in your hands. Only you can help him or she avoids juvenile delinquency sentences and punishments. Not seeking legal help from an experienced juvenile delinquency lawyer could negatively affect the future of your child. Contact our attorneys at the Jardine Law Offices P.C. to get a free consultation today. Call at 801-350-3506 or fill out this contact form.